Surprisingly there were only two preceding reviews for this album, but on the other hand the original Italian-language version Come di un'Ultima Cena has (deservedly) gained more attention here. Count me among those who prefer their RPI listenings in Italian rather than in English, despite the fact that I can't speak Italian. Anyway, I have the Esoteric Recordings' re-release from 2010 on my hands. It contains liner notes by Ernesto de Pascale. Before going into music itself, I'd like to pick up some background facts. After Greg Lake of ELP had witnessed a gig og P.F.M. in Italy and invited the band to record for their Manticore label, some other RPI groups followed the same way and made albums in English. One of them was Banco, undoubtedly the second biggest Italian prog band, both at the time and retrospectively. 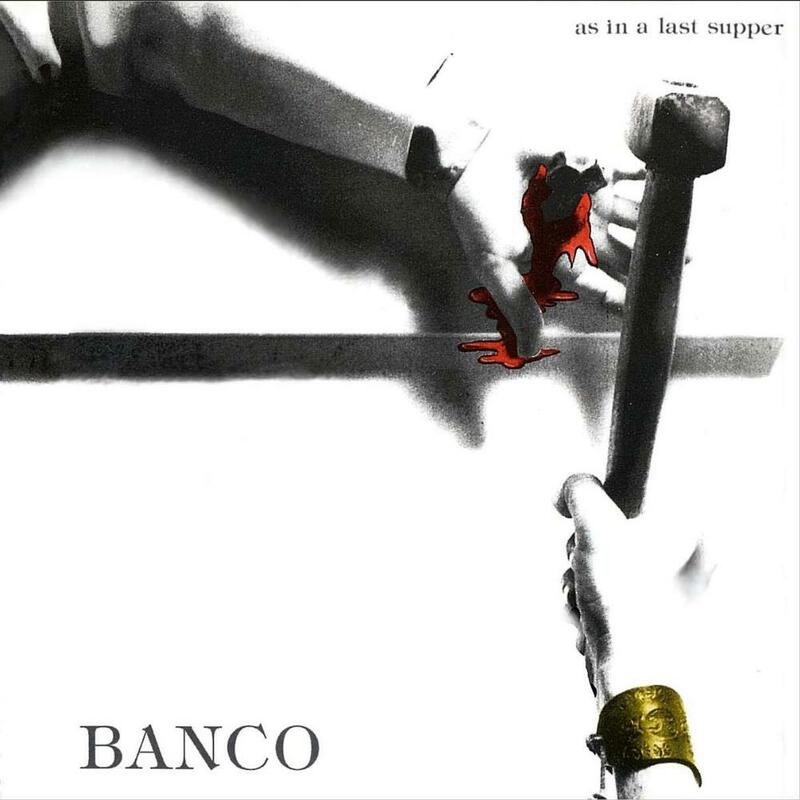 Whereas their first Manticore release Banco [IV] (1975) used material from various albums, As in a Last Supper is musically identical to its Italian twin. The lyrics of vocalist Francesco Di Giacomo were translated by Angelo Branduardi. "The concept for the album was casually born at a dinner with friends of the group, at which one of the guests stood up to talk about his doubts and problems, asking for help and advice. The situation suggested a series of themes and subjects, which would be covered in the album through the metaphor of the Last Supper. The illustration inside the album's gatefold cover inlay saw designer Mimmo Mellino take the painting by Leonardo Da Vinci and metaphorically revisit with the addition of the faces of the band members." Compared to Banco's earlier albums with long compositions, this nine-track concept album favours shorter song structures. The opener 'At Supper, For Example' (6:19, the second longest track) has a fine, colourful sonic texture. Vittorio and Gianni Nocenzi play many kinds of keyboards but leave enough room for the singer. Curiously, at times I came to think of Tim Buckley's music (which is not a negative remark!). 'The Spider' is an edgier and faster prog piece slightly reminding of Kansas. 'John Has a Good Heart, But...' is a mellow and pastoral song in a folkish, acoustic-oriented arrangement. 'Slogan' (7:25) is a prog rollercoaster with lots of dynamic changes and a slower middle part. Guitarist Rodolfo Maltese plays also trumpet, and one of the synths has a harp-like sound. One of the album's highlights is 'They Say Dolphins Speak' in which the violin part of Angelo Branduardi - yes, the translator - has a Crimsonesque effect. The song has a nice, groovy bass line in the bottom. Till the end this album keeps the sonic richness and the lyrical content in good balance. And as ZowieZiggy says, Francesco sounds so passionate that the language is not that relevant. Of all RPI classics this one may not be among the very greatest achievements (and surely not even the best album of Banco), but it's a very good addition to a collection of vintage 70's prog.